Kathleen Roberts offers Plant Spirit Medicine in beautiful Santa Cruz, California. She completed the Plant Spirit Medicine training with Eliot Cowan in 1997. Her love affair with nature began at age one in Yosemite National Park. Since then, plants have played a huge role in her life and well-being. She discovered the native plants in the mountains and fields of her home in Santa Cruz and Big Sur. She immersed herself not only in Western, but also Chinese, herbology. Her Chinese medicine studies included acupuncture and the wisdom of Chinese cooking. 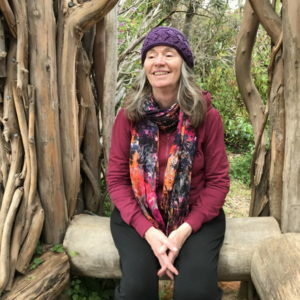 Kathleen credits Plant Spirit Medicine as a way to deeply understand the messages of plants and is grateful for their gifts of bringing people to better balance and returning us to our connection to the natural world. She is thrilled to serve her community in this time-honored way.